INDIANAPOLIS (CNS) — The annual chrism Mass to be celebrated April 16 at SS. Peter and Paul Cathedral in Indianapolis will arguably be one of the most solemn and joyful moments of worship this year for the Catholic Church in central and southern Indiana. 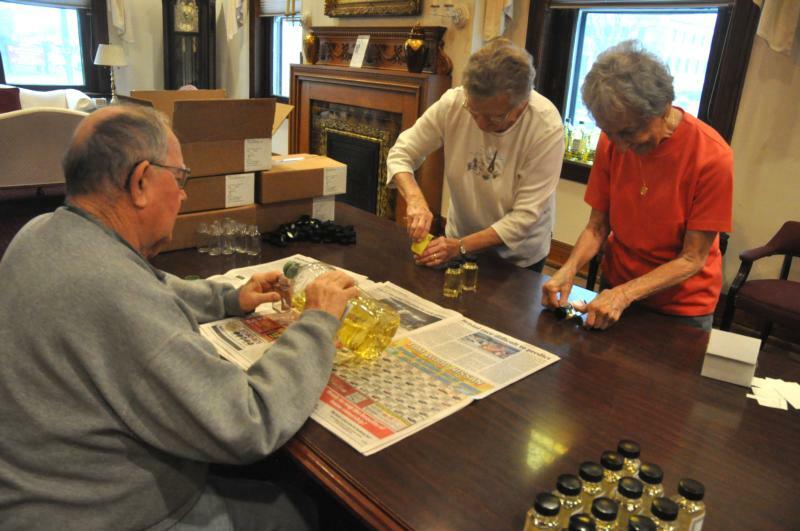 For 27 years, Christina Tuley, executive assistant in the archdiocesan Office of Worship, has overseen a crew of volunteers who annually pour more than 20 liters of olive oil into 750 small bottles and place lids and labels on them. One bottle of each of the three kinds of oils — the oil of catechumens, the oil of the infirm and chrism oil — are then put in small boxes.